Welcome to our 3rd stop on our Road Trip USA! This week we’re trekking through Maine! 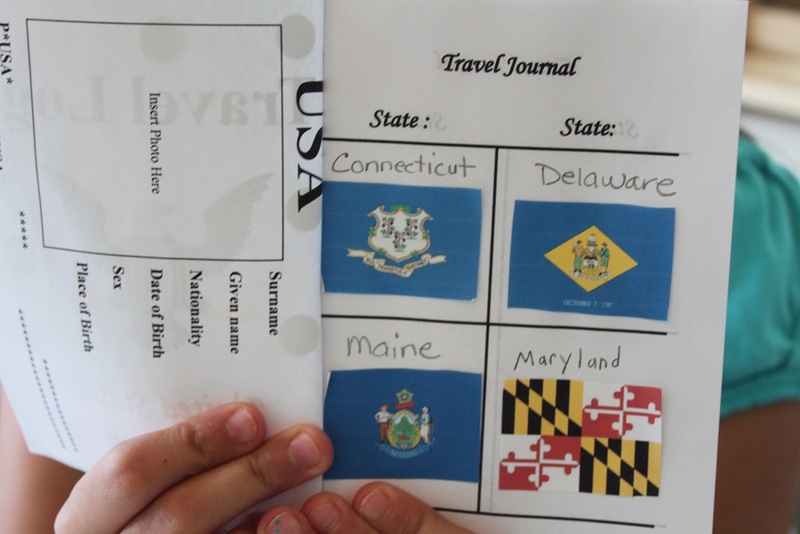 We started off by adding the Maine flag to our Travel Journal. 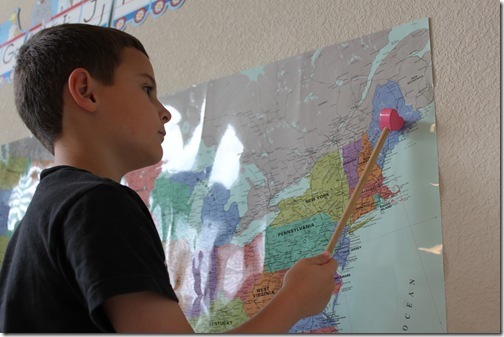 We started off by reviewing the states and capitals we’ve learned so far, then located Maine and Augusta on our Wall Map. 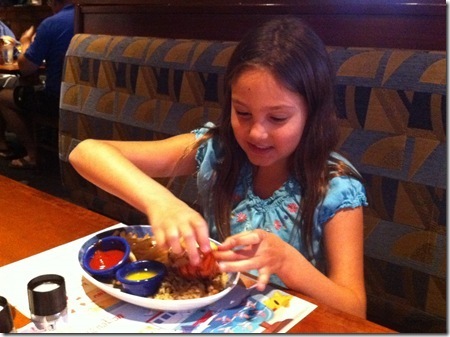 State food: Maine Lobster, and blueberries. Visited Red Lobster to let the kids see a live lobster and try one out. 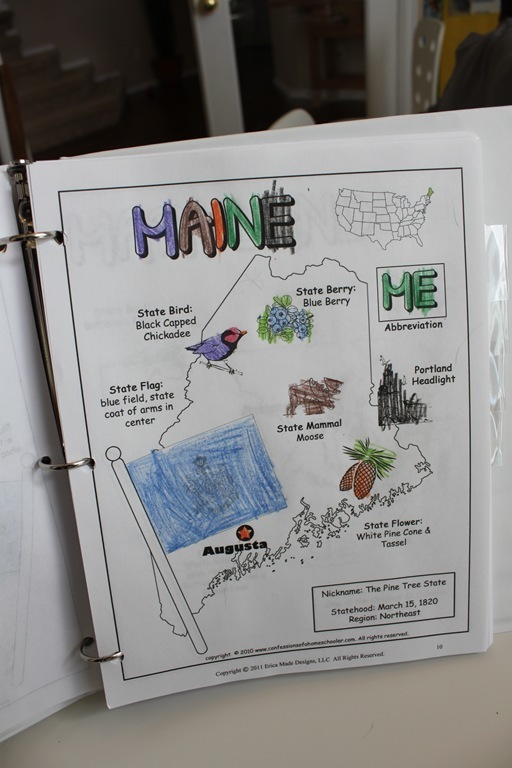 We read through our state symbol information and the kids colored their Maine worksheet. 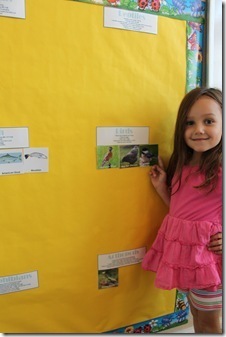 We re-visited the Black Capped Chickadee and Moose and added them to our animal wall. We added Maine to our small wall map. ( Trend USA Wall Poster) (I just purchased two of these then cut out the states on one of them, and left one whole. 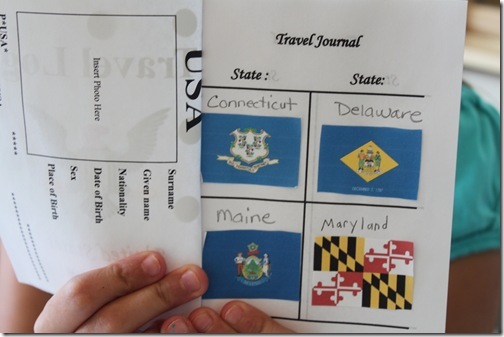 Then I added small velcro dots to both the whole map and the little pieces so we could add our states as we went. And that wraps up our Maine study! 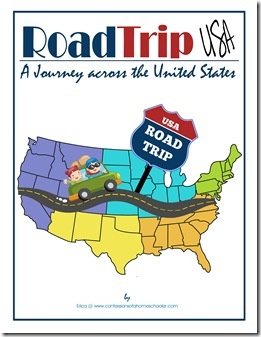 If you’d like to come along with us on our Road Trip USA journey, click the image below to learn more! Just wanted to let you know, we just started Roadtrip USA and my boys love it. 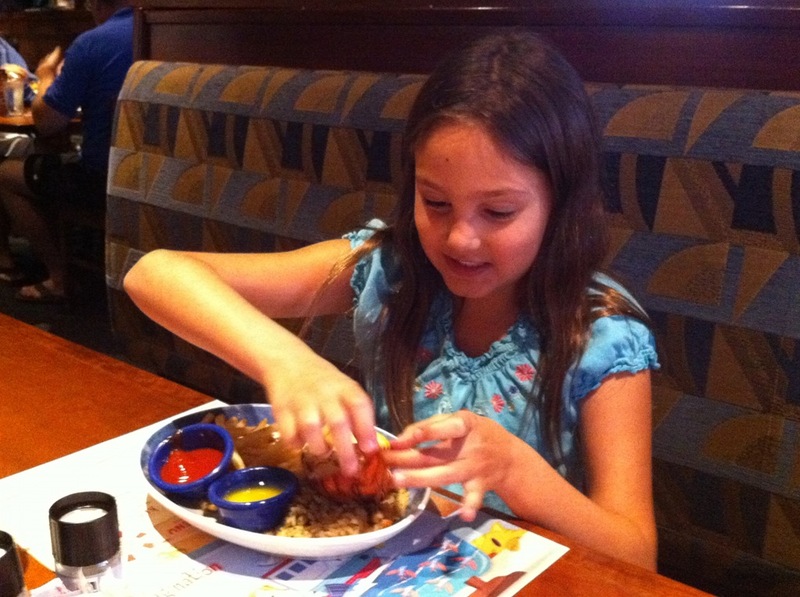 Such great projects and they love adding in the food. Thanks for sharing it! Maine is one of my favourite states! I was lucky enough to spend my summers there as a child. There was a wonderful book called “We Took to the Woods” by Louise Dickinson Rich (pub. 1942, reprinted several times) and a short story called “Land of the Pointed Firs” by Sarah Orne Jewett (1896) which brilliantly capture life in Maine. Rich’s book is about life in the back woods in the Rangeley area while Jewett’s story captures life in fishing village. Both would make excellent resources. So excited to see that you researched Maine! That’s my home state! We are military and live in VA right now, but Maine is always home. 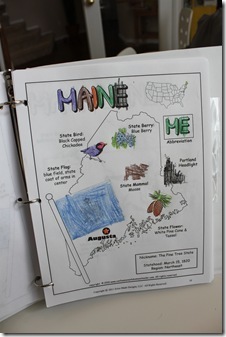 Blueberries for Sal is a great kids book (R. McCloskey) set in Maine. Oh, and as a Mainer, I have to point out that you left the E off Maine a couple times in your blog 😉 But for me it is my main state 🙂 Thanks for taking me home today! LOL! Sorry, that’s what I get for writing posts late at night! I fixed the typos, thanks! 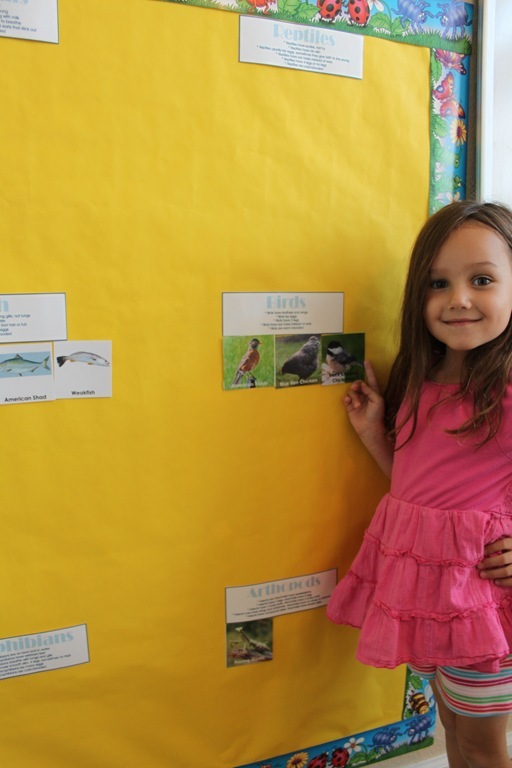 Where do you get all of your supplies for your bulletin boards. 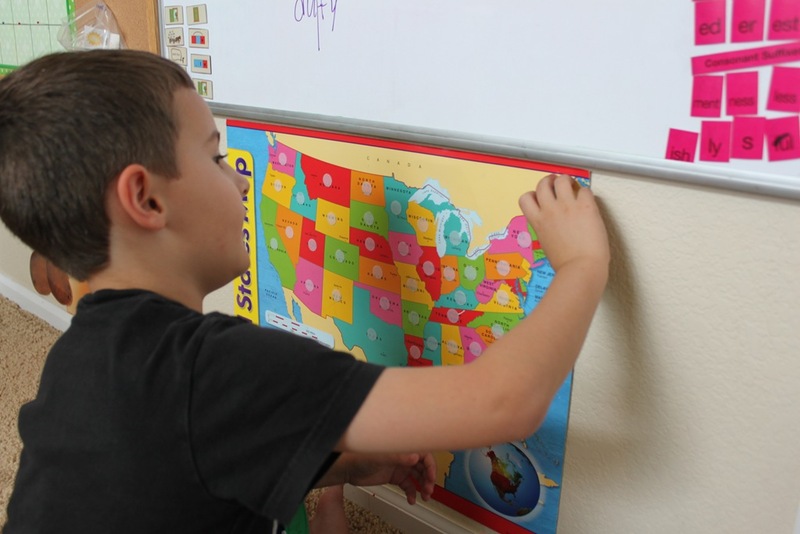 In previous home school years, I did not put up much on the walls, but now I have a room I can use to put up some educational items. If you already posted about this, then please direct me, but I would like some links for places to buy the items you have on your school wall and how you put them up. Thanks. Hi Katie, I got most of my bulletin board displays from a local teacher supply store. I just buy colored butcher paper, then add a fun border around it. 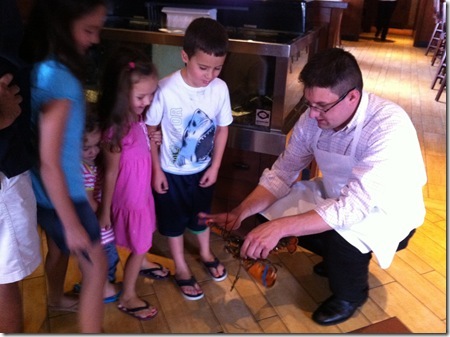 You can check out http://www.lakeshorelearning.com or http://www.beyondtheblackboard.com to get most of them! I also went back and added in links for the wall maps for you. Thank you for your response. I am checking out those web sites. I think my younger children will enjoy having some maps, math things and seasonal fun on the wall. I’m sorry if this has been answered before, but when you get to the northeastern states, are they all cut apart or are some of them together (being as some are small enough that a velcro dot would completely cover them, lol)? I snagged my posters today on sale and am prepping to cut the one apart for this next year.